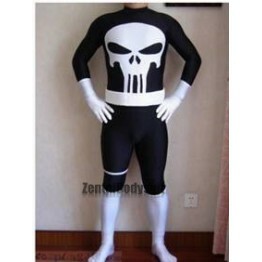 The Punisher Spandex Superhero Costumet is black and white colored. Features a big white skull in the middle of the zentai suit front And Mask. Gloves and feet are attached on the suit.